We’re still trying to find something interesting to do with virtual reality and virtual worlds. 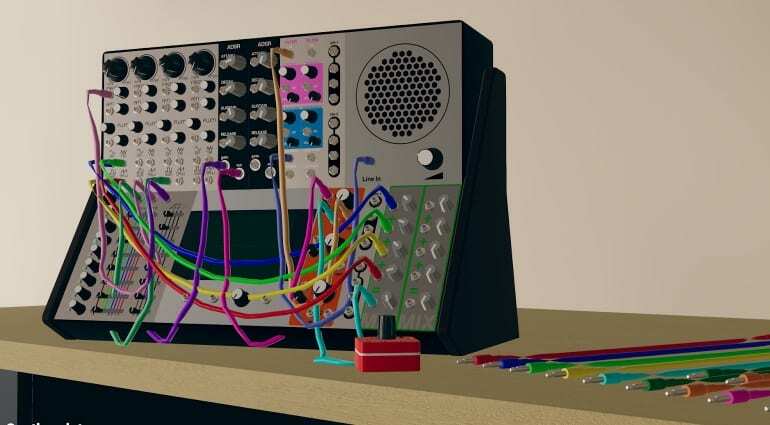 How about building a world around a modular synthesizer? You wouldn’t need much, just space and some cables. 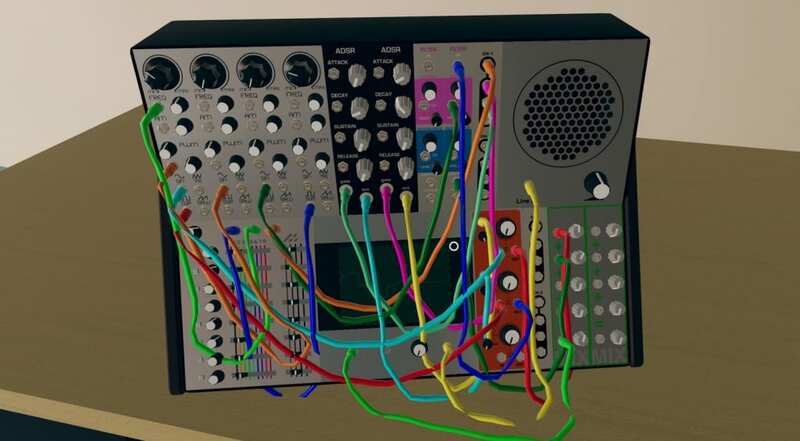 So grab your mouse, or your VR helmet and immerse yourself in Synthmulator. Developer Oscar Sebio has built a 3D environment around a virtual Eurorack synthesizer. You are dropped in with a first-person perspective which you control with mouse movements. There’s no movement other than swivel and a little bit of zoom but you are virtually sat in a chair looking at the “PROTO-1” synthesizer. 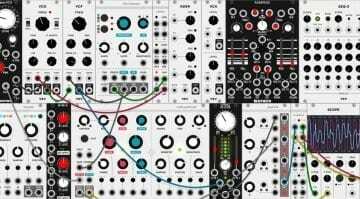 The synth consists of four oscillators with sine, saw, triangle and square outputs. You can use these as sound sources or as modulation. I also found that you have to use one as the clock for the sequencer. 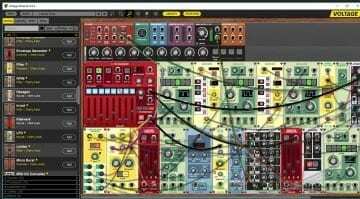 There are two ADSR envelopes, a three-channel VCA, two filters, some mults and a couple of mixers. A nice big signal generator sits in the middle and there’s also a speaker and an 8 step sequencer. On the table are a bunch of patch cables. This is a virtual environment and so in order to get any sound you have to do the work of picking up one end of the cable, placing it in a socket and then picking up the other end and placing it in a destination. Similarly, you have to start turning knobs to get sound to come out. Initially it seems laborious and there’s a lot of mouse action going on, but after a while I found myself warming to it. I was actively patching something interesting together and the results were pretty good. There are enough modules to get you going and before long you’ve lost a whole load of time. But you can always take a break and look out of the window in your virtual room. 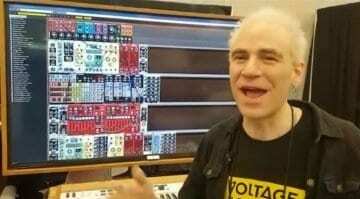 It looks a lot like a college dorm room – who had a modular synth when they were at college? 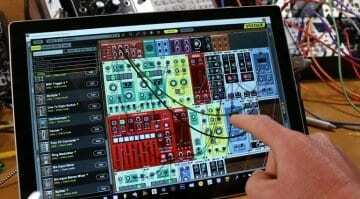 Synthmulator is pretty cool. It looks great, works great even though the cables do get in the way – but that’s a realistic simulation for you. You can download it for free although Oscar suggests that $5 might be a good price to pay for it. I wonder how far he could go with it. Could we be playing in a virtual environment packed full of every imaginable module? Could the Unity engine handle that? We shall see. Otherwise, the slightly underwhelming trailer of an earlier version is below – but I would download and try it before judging.